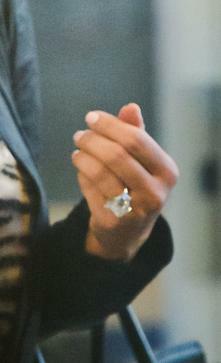 Kim Kardashian was spotted at LAX yesterday showing off her $2,000,000 engagement ring! The star is now engaged to New Jersey Nets player, Kris Humphries, after dating for 6 months. The basketball player popped the question in front of the E! cameras, which means the moment will appear on Keeping Up With The Kardashians!